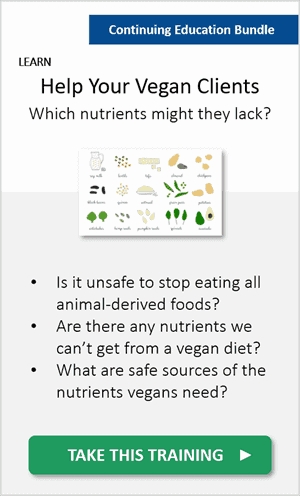 Let me start by telling you that, luckily, in nutrition science there are NO black-and-white answers. I say “luckily” because the direction of nutrition isn’t blanket advice. It’s personalisation. 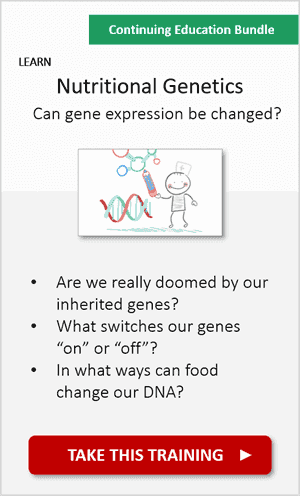 Your genetics, your needs (biochemical, etc. ), your goals, and your preferences all count. So what’s wrong for you, is probably RIGHT for someone else. And when it comes to the sugar in fruit juices and smoothies, it depends on the scenario, including the type of drink. Let’s begin with a practical and very visual analysis of the sugar in a smoothie. How “innocent” is this smoothie? I have picked an Innocent smoothie label to illustrate this for you. Can you see the red arrow? With it, I’ve pointed the amount of “free sugars” in a 180ml glass. In essence, you get 18 grams of “free sugars” in this small smoothie glass. So not all 180ml are pure sugar. There are just 18 grams of “free sugars” in this glass. Sounds like just a “little bit” of sugar, right? 18 grams of sugar in just one glass is a LOT of free sugars. Now you may wonder: What are “free sugars”? And what amount is too much? those sugars which are naturally present in honey, in syrup, or in unsweetened fruit juices. So yes, fresh juices and smoothies DO count towards your daily limit of free sugars. Whole fruits don’t count as “free sugars”. But fruit juices do, even that freshly-squeezed orange juice. The UK’s Scientific Advisory Committee on Nutrition recommends that “free sugars” should be no more than 5% of your daily calories. You can find the complete “free sugars” guidelines here. For the average adult, that’s no more than about 25 grams of free sugars a day. 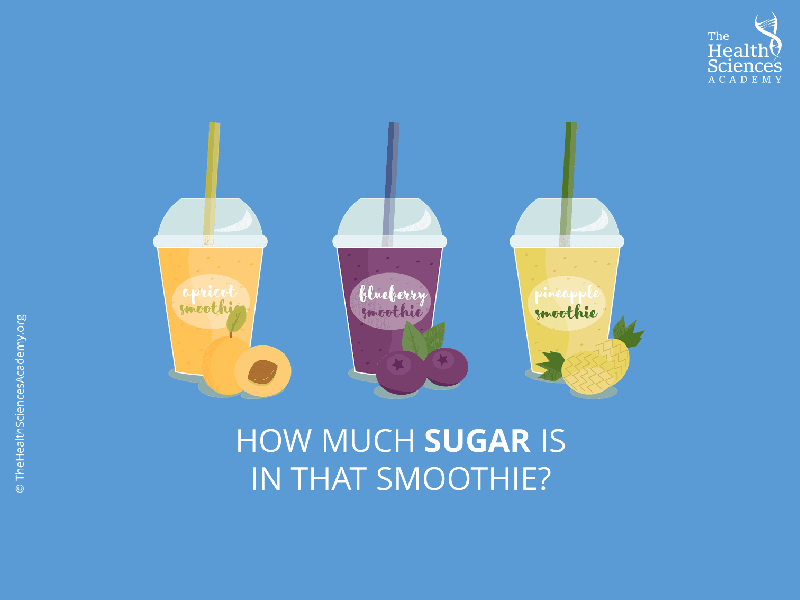 Remember the amount of free sugars that you’d get from our smoothie example? 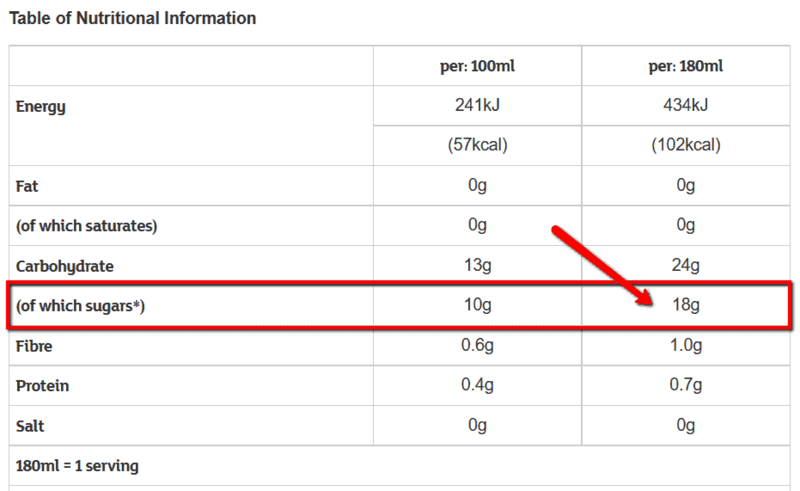 But I think we can personalise things a bit further, and calculate your very own limit of free-sugars in grams. Ready for some maths? Grab a pen! 1. Roughly assess your daily caloric needs. For practical purposes, let’s say Susy needs 1,800 calories a day. 2. Multiply your daily caloric needs times 0.05 (that’s 5%). The result is your upper limit of calories from free sugars. In the case of Susy, 1,800 calories x 0.05 = 90 calories. So, 90 calories is Susy’s daily limit of calories from free sugars. 3. Now divide those calories from free sugars by 4. This will give you your daily limit of free-sugars grams. Which means that Susy’s daily limit of free sugars is 22.5 grams. Remember: These grams of free sugars a day is not an intake requirement to meet, but rather an upper limit that should not be exceeded! Endurance athletes who, based on more complex formulas, may benefit from a calculated supply of free sugars during a competition. Think triathlons, ultra-marathons, Tour de France, and so on. Most of the “free sugars” in fruit juices and smoothies are fructose. But fructose metabolism tends to differ from person to person. For instance, it’s more likely that an active athlete will use it immediately for energy, without storing it as fat (Richard and Robert, 2010). Okay, so we were saying that your body may metabolise fructose differently at this point in time. This is due to an inherited gene mutation; a condition known as congenital sucrase-ismaltase deficiency. Note: Unsurprisingly, humans in cold Arctic areas evolved with limited plant-based resources. So that may partly explain why fructose is seen as an offending substance rather than a fuel in these individuals. To get a taste for what Paleolithic humans really ate, go here. So, how active are you? Although fructose from drinks is one of the culprits for the current obesity epidemic, it’s not the fructose on its own to be blamed… but rather its excessive consumption (relative to your overall diet, lifestyle, and activity levels). Hence, if you aren’t an active person, keep an eye on not exceeding the free sugars limit we talked about before. Now you know how to calculate them! 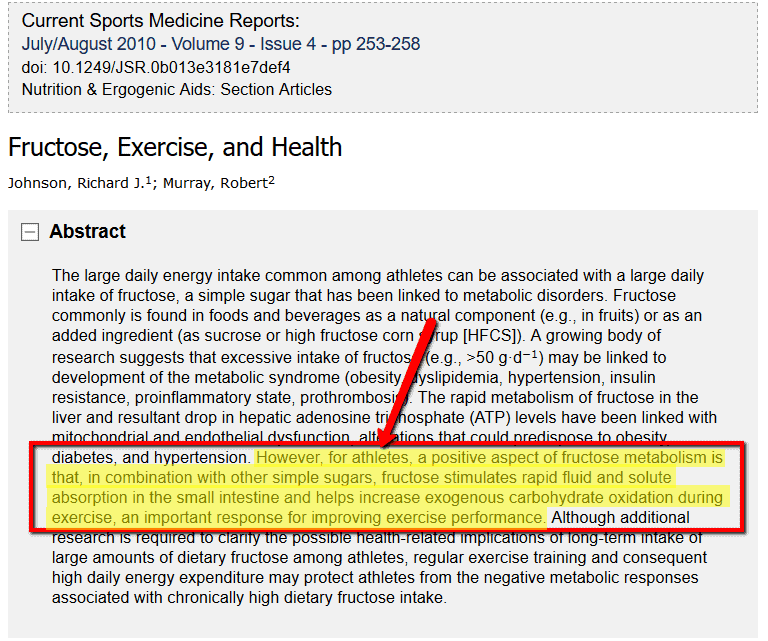 Note: Excess fructose does have a role in increasing your fat stores. To understand how, first you need to learn how fructose metabolism works. Go here to see how. I love to hear from students who run their own juicing and smoothie businesses. Packed with vitamins and phytochemicals, these drinks can provide potent health benefits – smoothies in particular. A smoothie with a high-fibre content allows for the sugars to be more slowly absorbed into the bloodstream. 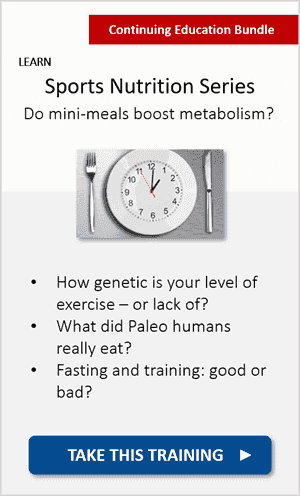 That’s desirable for those who need to keep an eye on their blood-sugar management, mental focus, AND cravings. 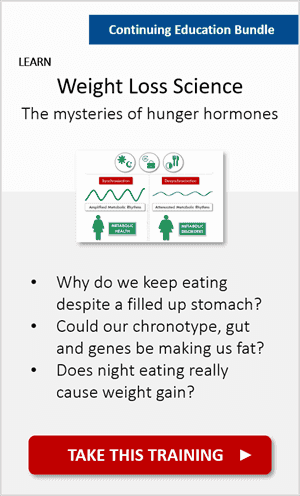 A quick, large influx of sugar into your bloodstream can make you hungrier. So if you have a good amount of fibre in the mix, it can help slow down the absorption of fructose. When you’re inactive, a slow and gradual absorption ensures that your food cravings don’t spiral upwards. Brain reward needs to be considered too. A 2015 study found that a high-fructose, fibre-free drink activates reward regions in the brain that make you more likely to seek out food and eat more. Another good reason to keep an eye on the amount of free sugars and fibre. There’s another added benefit from fibre that most people don’t know. The plant fibres in smoothies encapsulate the beneficial antioxidants, protecting them from being destroyed by stomach acid, so more of them can reach your intestines. A 2012 study shows that after antioxidants like polyphenols are released from the plant cell, up to 80% of them bind to the plant fibre. So, if you discard the pulp, you’ll be discarding those beneficial antioxidants! 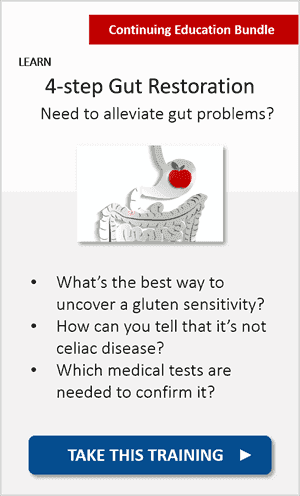 Contrary to popular belief, fibre allows those antioxidants to be more bioavailable in your large intestines. 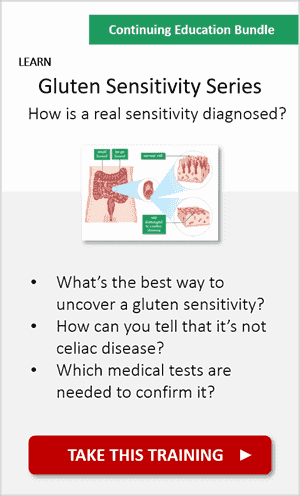 So we’re now investigating how this action may help lower colon cancer risk, for instance. The one thing consumers need to be made aware of is the amount of total “free sugars” they consume per day. Although homemade smoothies and fresh juices may not have “added” sugars, they do have natural “free sugars”, which still count towards the recommended intake limit. So if you love smoothies, perhaps it’s just a matter of choosing the best one for you. Or maybe prepare them at home so you know what goes in each glass. Let’s now take some smoothie labels for comparison. Remember that the free sugars in a glass of apple and blackcurrant totalled 18 grams? That’s mostly from the apple juice. Manufacturers tend to go overboard with the addition of apple or pineapple juice. They do that for palatability, so the drink tastes sweeter and less bitter. How much apple juice was in our glass of apple and blackcurrant smoothie? A pressed apple provided 70% of the drink. So this commercial smoothie (marketed to kids) doesn’t have “added” sugars, but has a preposterous amount of “free” sugars. Then our next question is, can we find a commercial smoothie with LESS apple juice, or with less free sugars? 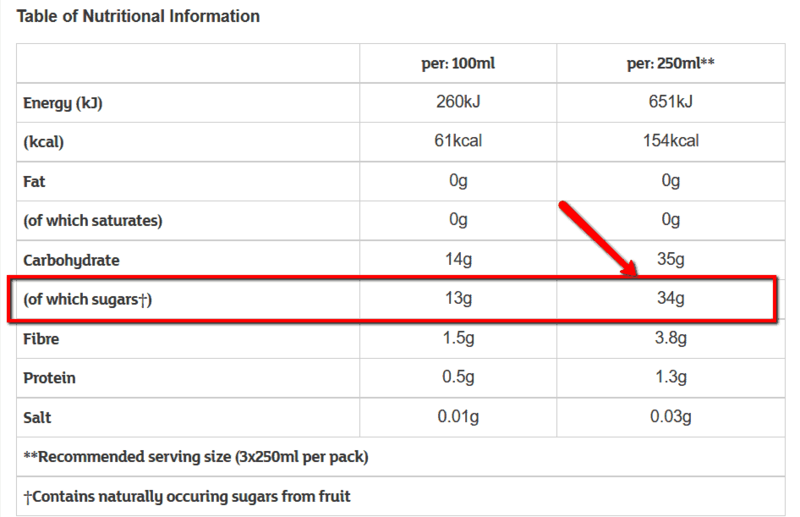 I checked, and most Innocent smoothies have at least 18 grams of free sugars per 180ml. No more than 5% of your daily calories should come from free sugars. That’s NOT a target. It’s a limit! 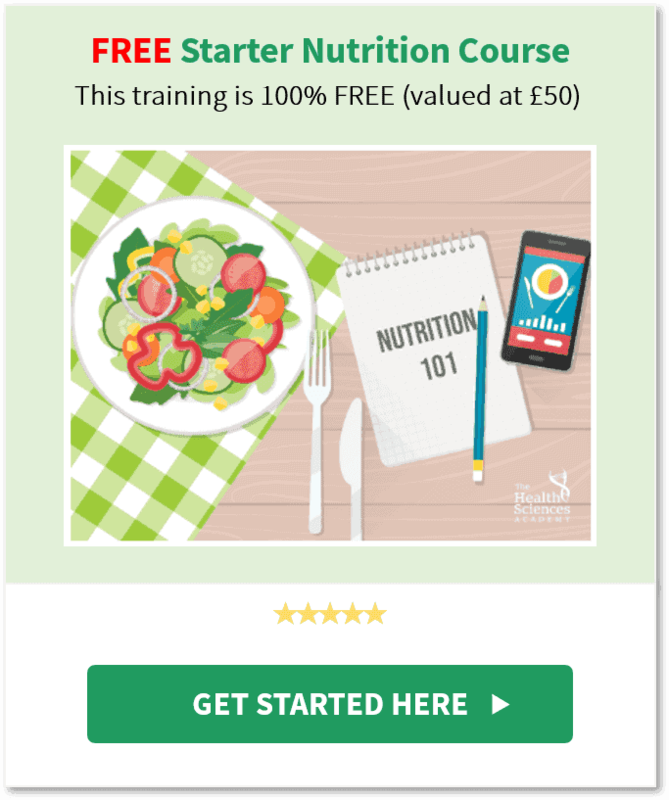 You’ve also learned how to calculate your own free-sugars daily limit, by using the step-by-step formula I gave you, including a practical example. Watch the labels of commercial smoothies to ensure you don’t surpass your daily sugar limit. Since manufacturers tend to overdo the apple juice percentage, a better idea is to prepare your smoothies at home – or get them from a store where you can see what they put in them. And if you run your own juicing and smoothies business, customers like me would love to know what goes in them, nutritionally. Free sugars and fibre content are the first two things I’d look for. Are you a juicing or smoothie lover? Do you run your own juicing or smoothie biz? Tell me in the comments! And if you’re on Instagram, share your next pic with the hashtag: #TheHealthSciencesAcademy – and I’ll be sure to check it out! You can follow us on Instagram (you’ll see fun nuggets of scientific discoveries in there!). Thanks for that info – very interesting. Excellent article and very insightful, thank you Alex. I have to say I avoid buying smoothies. As someone who exercises daily I go with bananas and almond milk smoothies (with a handful of berries) 2-3 times per week. Might be less exciting than many of the blends I read about but it works for me! 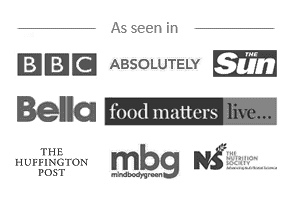 Very interesting and great to be able to know how much is too much personally instead of ‘diet mags’. I avoid ready made smoothies and exercise most days with a variety including running, weight training, Hiit and cycling. My homemade smoothies tend to consist of Almond milk, spinach, peanut butter, broccoli and vanilla protein powder. I am also currently weighing up which protein powder is best, whey or plant based. Thanks for clarifying. If I were to have a high fibre, low sugar smoothie, which fruits would you recommend using? I love bananas but they are high in sugar. Thank you for this article. It will help me explain free sugars more easily. cheat…but need a math lesson just like this one. Hope you can help. 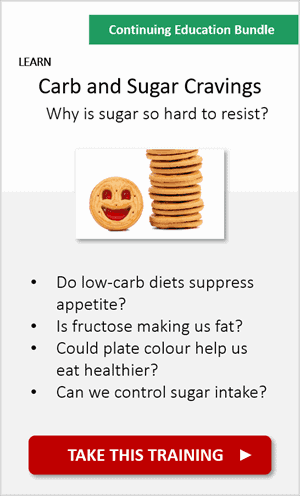 Sugar: be it fructose, sucrose, glucose, maltose… The body sees sugar, and it wants it. It is a fast, potent form of energy that is lacking in its stone age body – our bodies that have not evolved into this fast-food culture! Our brains seek out this sugar, our stomachs digest it and our livers convert whatever is not used into glycogen and stores it for the leaner times that never happen in this modern age. Whatever is left is excreted via the kidneys. The trouble is that once the stores are full no more is absorbed and because out brains want it and we keep eating it too much travels around the body causing damage, especially to the kidneys. Great article. Thank you for sharing! I’m a Shakeology drinker – 6 grams per serving on average. Thank you Alex. That is really good article, simple, clear, easy to understanding. I am not a fruit juice fan, I like green juice personally. But it is very important to know that even no sugar added fresh juice still contains high amount of free sugar, for me this is first time heard about it. I am sure most people including me don’t know about it. Let me tell you the story of my 100 years old father again. He was diagnosed lung cancer in 2009, had twice Cyberknife treatment 2009 and 2010. End of last year (2015) he had very serious lung infection went hospital, doctors already said it was very small chance to live. But at end he stand up walked out of hospital after 47days. At end of Last month because the weather temperature suddenly dropped he sick again. There is not only lung problem this time, plus urinary tract infection, hydronephrosis, heart beats to 160 per minute, he is still in ICU room at moment, but doctor told us that he can move out of ICU room next week, he is doing great. How can he survive? Actually almost impossible. I think that long term rich nutrition food saved him. We gave him a variety of beans milk every morning, green juice three times a day, and blended rice,vegetables, fish, or a little bit meat mixed them made like thick soup for main food. I need to go to hospital now, will talk to you later. Thank you! All of us brothers and sisters are working together as a team, that’s a family power. But most of his food recipes from me because I have more knowledge and information of nutrition from western countries. I have one question if you can help me. My father very thin , how to do to make him pick up some wight? Hi, Maria: Thank you so much for the helping. The article which you sent to me really helpful! I appreciated! A top read and will make me consider my weekly approach to making morning smoothies at home. Fibre content is naturally high, but I think 2/3 home blended smoothies per week on selected days before physical activity is a good way to go in ensuring enough essential nutrients go in without over consuming free sugars!